Located in southeastern New York, Vanguard Roofing has served commercial and industrial roofing customers since 1972. We stand out from our roofing competitors because we are always there for our customers. Vanguard Roofing not only sells our customers a roof; we sell the service behind our products. We offer maintenance agreements on top of our service, and we stand behind our roof warranties and finished product with pride. 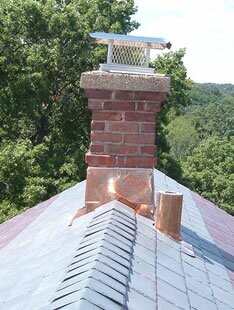 Every roofing project requires a unique solution. No roof is exactly the same. Vanguard Roofing specializes in working with our customers to design a roofing solution to meet your needs and your budget. With over 40 years of experience, let us apply our problem-solving skills to your roofing project. Vanguard Roofing is ready to work with you to repair, restore or replace your roof, or to offer Green Solutions for your roofing needs. Vanguard’s approach towards installation and maintenance of roofing systems is based upon specifications that include building attributes and existing roofing components. Accurate recommendations, quick response to our customer needs, and our commitment to producing quality work for a reasonable sum is what Vanguard Roofing is all about. 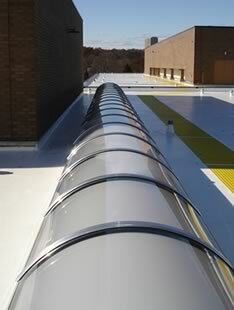 Vanguard Roofing serves commercial and industrial roofing customers in Westchester, Rockland, Putnam, Orange, Sullivan, Dutchess and Ulster counties in New York; Essex, Sussex and Bergen counties in New Jersey; Fairfield and Litchfield counties in Connecticut; and Berkshire County in Massachusetts. Vanguard Roofing welcomes custom projects. We’re here to serve you and use our problem-solving skills to support you in your roof replacement or repair projects. Explore our project gallery, talk to our clients for references, and call Vanguard Roofing today to discuss your roofing needs.